Searching for a web host? You need not look any further. Mambo Web Services is Kenya’s nest web host offering reliable hosting for all needs. We have over six years experience in meeting the hosting needs of start-up, medium and large organizations. Mambo is the space where more than 10,000 customers in Kenya and other East African countries have entrusted to keep their websites on the web. We support various scripting languages including Python, PHP, ASP, ASP.NET and Angular Js among others. We are incorporated in Kenya as a Limited Company and specialize in offering a wide range of web services. We are properly accredited BY KENIC, the .ke registry that allows us to offer country domains. 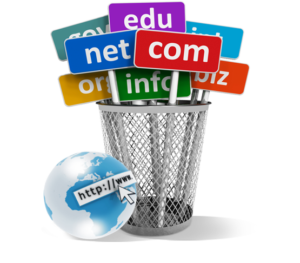 You will get one of these domains from use from us to suit your needs. Mambo.co.ke provides the best speeds and uptime possible. All our components are top of the range from the network card, power supply and high –speed SAN to deliver unparalleled uptime. We use the latest Dell server technology to maintain to deliver the quality of service we promise. We have invested in the State-of-Art hosting infrastructure to keep your website visible and accessible from any point. Our reliable team of hosting experts is ready to manage everything and assist you with any advanced support you require from us. Many frustrated customers put up with their web hosts because they are afraid that migrating their websites will be too much work and an extra cost. Mambo has just the right solution for you! We have a professional team of technical experts to transfer your website free. It will only take a moment to start enjoying our best web hosting services. We have these 3 hosting plans for you to choose the one the fits your budget. We allow you the freedom to upgrade or downgrade your hosting plan. Business plan hosting comes with a free premium DNS worth $10 with free 100% service level agreement for DNS resolution. Your business will ride on a secure globally available DNS service. All our hosting plans have numerous features including free website builder, click script installer over 50 scripts and CDN services. Our other hosting services are WordPress hosting at $19 per month and dedicated servers at $139 per month. Mambo always safeguards the safety of your files, If you accidents delete some of your files, you will get restoration of the previous copies at no extra cost. We are the first web hosting company in Kenya and East Africa to provide fully automated web hosting service. From Mambo.co.ke, you can make an order for web hosting or our other services and pay through one of our various customer friendly methods from the comfort of your office or home. We will automatically create your account after receiving payment. Our advanced tools enable you to use the hosted account soon after the ordering and payment procedure. We have a passion for our work and satisfying our customers. You will get the best support from us. Mambo will assign your hosted account to a manager who will handle your inquiries and general support needs. Our support team is easy to contact through Live Chat, phone, email or ticket to the relevant department.Contact us now for best web hosting.